TDmonthly Magazine interviewed retailers in August 2014 to see which specialty toys were flying of store shelves. From Water Dancing Speakers by LEADING EDGE NOVELTY to Spot It! by BLUE ORANGE GAMES, you can check out the best-selling specialty toys of summer, according to our retailer panel, below. This play sand is made up of regular sand and a special non-toxic compound that makes it sticky - but only to itself. This means that kids can use it just like wet sand, while grownups don't have to worry about it making a big mess. The sand is also waterproof, so kids can make water features in their sand castle without having to worry about the castle washing away. — In a August 2014 survey, two out of 10 retailers told TDmonthly that Kinetic Sand was their best-selling toy. — In a November 2014 survey, two retailers told TDmonthly that Kinetic Sand is one of their store's best-selling educational toys. Connect these speakers to computers, iPhones, iPods, tablets, Android, game players & more. Multi-colored jets of water dance to the volume and beat of the music. That, added to the 4 multicolored LEDs, creates an incredible light and water show. The speakers stand 9" tall and are compatible with any audio device that has a 3.5mm audio jack connection. They are lightweight and portable. All connection cords are included. 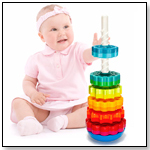 — In a August 2014 survey, Stan Giliberto, owner of Over the Rainbow Toys in Glastonbury, Conn., told TDmonthly that this is one of their best-selling toys. "It's good for older kids who are starting to age out of toy stores," he explained. — In a September 2014 survey, Beth Snyder, manager of Growing Tree Toys in State College, Pa., told TDmonthly that these speakers are one of the store's best-selling novelty items. Make eye contact with our blue-eyed sleek Good Luck Dragon, and you'll be blessed with everlasting good luck! Safari Ltd® Dragons include the most colorful, creative, and varied dragon toys available. Some of our most intricate professional sculpting and eye-catching hand painted designs can be found in this collection. They are perfect for inspiring a young imagination or adding to an impressive collection. Safari Ltd® has been creating quality, value-priced replicas for three generations, and these dragons continue that tradition. — Jenni Mallory, owner of Magic Box LTD in New Orleans, La., told TDmonthly in a August 2014 survey that Safari fantasy figures were one of their best-selling toy lines. "The girls are into it as much as the boys," she said. 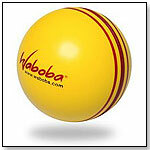 The Waboba Blast Ball by WABOBA INC. Stomp on the launch pad and a blast of air propels the Ultra Stomp Rocket over 200' in the air. The kit contains four rockets with the OG-1 Nosecone. “We are the original creator. Stomp Rockets started the "stompin' revolution," Cynthia Peeks of D&L Co. told TDmonthly, stressing that Stomp Rockets are known for their name, quality and safety. Awards: TDmonthly Top Seller 2008; iParenting Media, iParenting Hot; Dr. Toy Best Children´s Vacation Toy. — Retailers surveyed by TDmonthly have been naming Ultra Stomp Rocket as a best-seller since 2006. — Four of 45 retailers who spoke to TDmonthly in summer 2007 said the Stomp Rocket's success makes it a choice gift, reporting unit sales figures from four to dozens a month. Nine percent of 66 retailers named the Stomp Rocket as a best-selling gift for boys in July 2008. 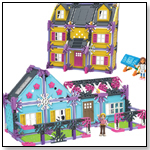 "We sell about 75 a month," Marilyn Walker, owner of Play Fair Toys in Boulder, Colo., told TDmonthly in early 2009. 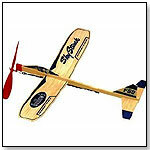 Thirteen percent of 47 retailers told TDmonthly in June 2009 that Stomp Rockets are a best seller for boys. “It's probably been the dang Stomp Rocket for about 15 years now. They just fly out,” Tye Steinbach, owner of Thinker Toys in Portland, Ore., said when asked about his most popular outdoor toy. 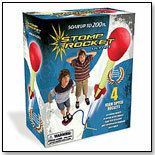 Nine of 37 retailers named Stomp Rockets as a best-selling outdoor item in spring 2010. •Will American Kids Want Some Tsum-Tsum? •The Wii U is sinking – will it drag Nintendo down with it?